Order your Estate planning Solutions Suite today. 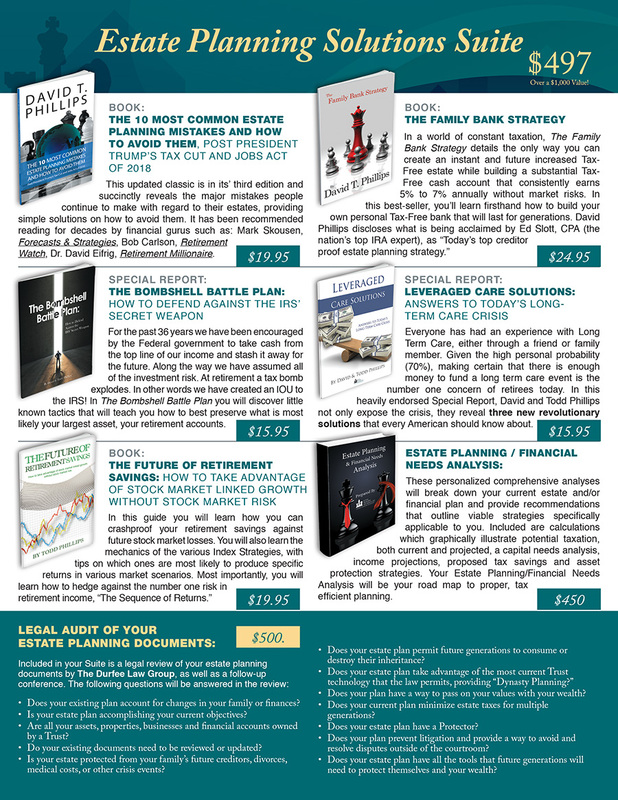 Normally over $1,000 when sold separately, this comprehensive package, including the book, Special Reports, your Personalized Estate Planning/Financial Needs Analysis, plus legal audit of your estate planning documents, is very affordable at only $497. Taking advantage of this offer may result in implementing a plan that could save you hundreds of thousands of dollars or more!